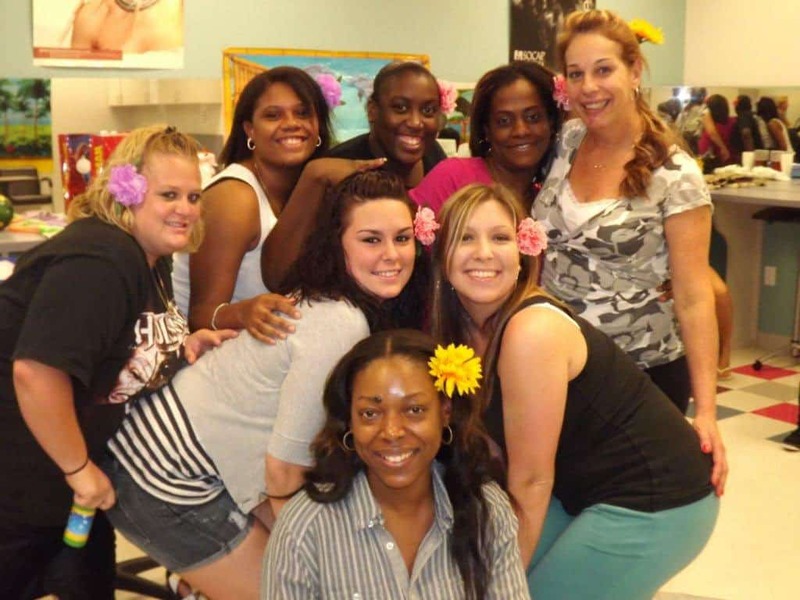 Margate, FL – On Thursday, February 9, 2012 American Institute School of Wellness and Beauty Evening Cosmetology students taught by Margate Lead Cosmetology Instructor LaVaughn Gearhart took their pedicure instruction to a new and tropical level. The class, Tiki Pedi Party allowed students to leave their customary scrubs at home for one night, and take their acquired pedicure skills to the indoor beach that they created in their classroom. With scenery reminiscent of the coastlines of Bali, feet and toes were the focus, while laughter and refreshments provided an island getaway backdrop for the evening’s pedicure practice. Despite the rainy weather outside the Margate campus, Ms. Gearhart brought sunshine to her classroom and the Margate student experience. 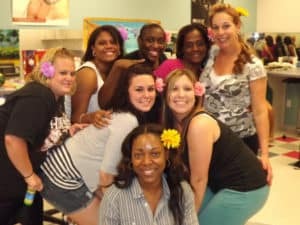 According to Ms. Gearhart, “An instructor is one who dedicates themselves to student success and goes that extra mile on behalf of their students….. as it rained outside, the inside was transformed to the tropics and the Tiki Pedi Party came to life! I watched, I laughed, and I cherished the accomplishments of each student while we all concluded another successful term.” American Institute School of Wellness and Beauty Campus President, Richard McCulloch dropped by to enjoy some of the evening festivities. “This is just one example of the innovative means of academic delivery that Lavaughn Gearhart, like all of our instructors, brings to the academic experience of every student she touches. The students love the themed days that Ms. Gearhart is famous for initiating, I only wish that I had not been so over dressed for the evening, a suit in the tropics just doesn’t seem right” joked McCulloch.